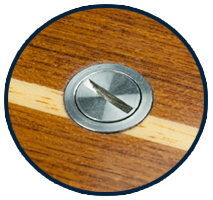 PYI Floor Anchors are designed and engineered to secure floorboards or lock hinged panels. Made of 316L stainless steel. Will not corrode, discolor with age or damage the wood surface. 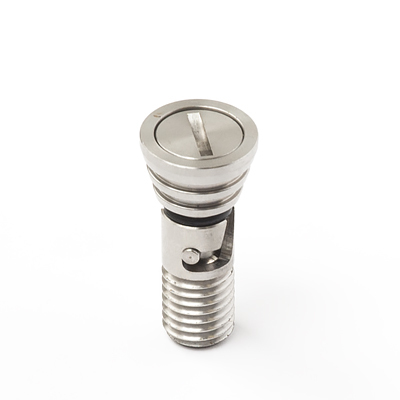 Bayonet sytle opening mechanism, with quarter turn lock and release. Can safely hold up to 500 lbs. per unit. Meets ISAF requirements for offshore boats (category 2.03). 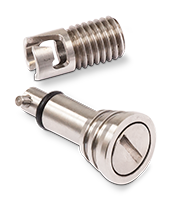 PYI Floor Anchors are designed and engineered to secure floorboards or lock hinged panels. 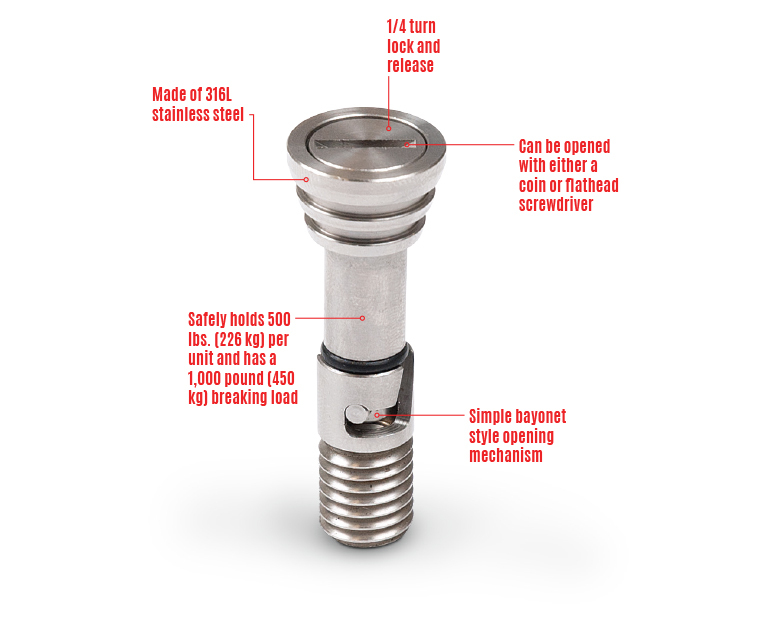 Made of 316L stainless steel (OEM Floor Anchors are 304 stainless steel, more info below). Will not corrode, discolor with age or damage the wood surface. 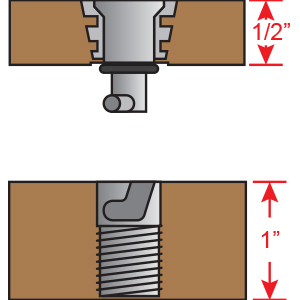 Available for 1/2" to 1-1/4" (12 - 32mm) thick floorboards. How Does The Floor Anchor Work? Here are common questions we receive about our Floor Anchors. If you can't find an answer to your question here please feel free to contact us. 1. 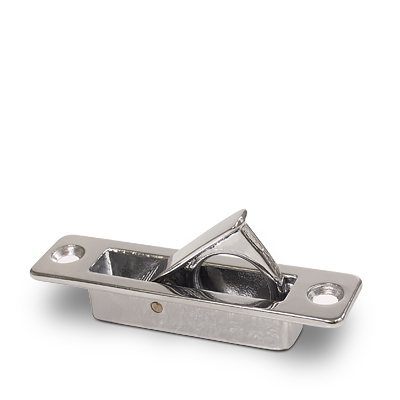 Are Floor Anchors only available in stainless steel? 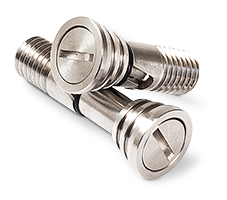 PYI has very little inventory of brass anchors available, please call to inquire on current stock. 2. 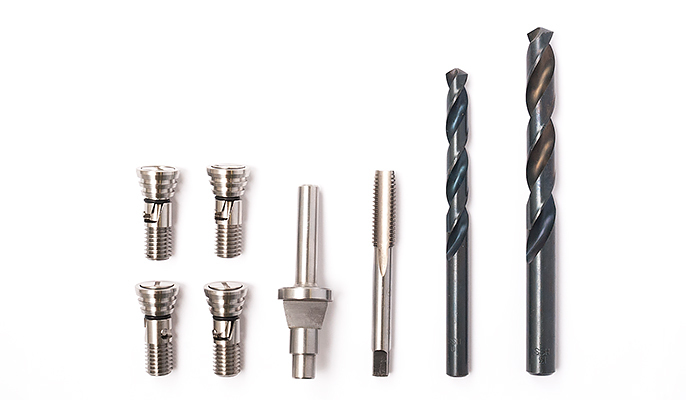 What size are the drill bits needed for installation? 3. 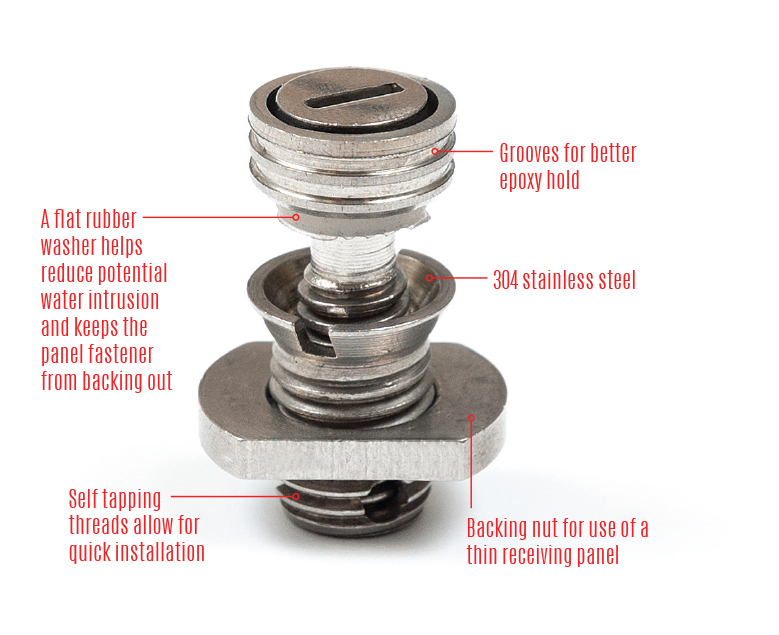 What is the thread diameter and pitch found on the receiver portion of the Floor Anchor? 4. What is the weight capacity for each anchor? 5. What do you recommend using to unlock the Floor Anchors? 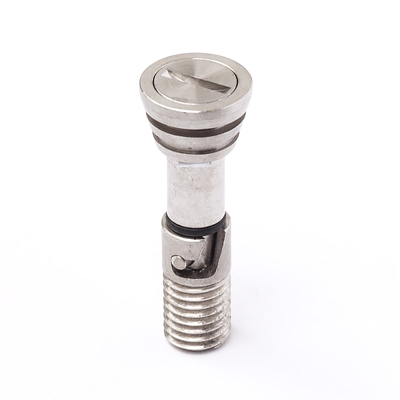 Since the head of the anchor is slotted you can use a flat head screwdriver. However, we have found that a coin works a little better since it fills the entire slot and makes unlocking the anchor easier. 6. 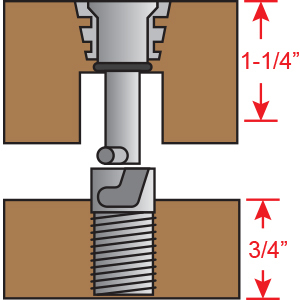 How many anchors should be installed per floorboard? It is dependent on the weight of what is in the compartment under the floorboard, usually 2-4 anchors per board will be sufficient. With 1/2" (12mm) panels the receiver will sit flush. A minimum of 1" (25mm) is needed for the sole. With 3/4" (19mm) panels you will have a small portion of the receiver above the sole. 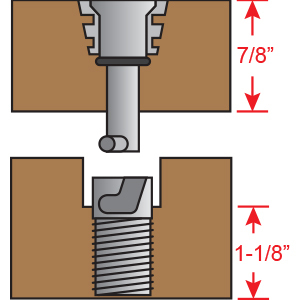 A minimum of 3/4" (19mm) is needed for the sole. With 7/8" (22mm) panels you will have more of the receiver sitting below the sole, thus the sole will require counter boring. 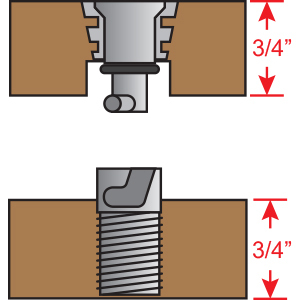 A minimum of 1-1/8" (29mm) is needed for the sole. With 1" (25mm) panels teh receiver will sit flush. A minimum of 1" (25mm) is needed for the sole. 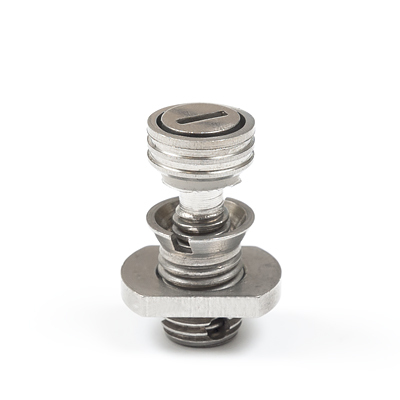 With 1-1/4" (32mm) panels you will have a small portion of the receiver above the sole. 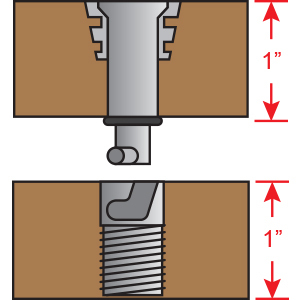 A minimum of 3/4" (19mm) is needed for the sole. Get everything you need all at once with a PYI Floor Anchor Starter Kit. 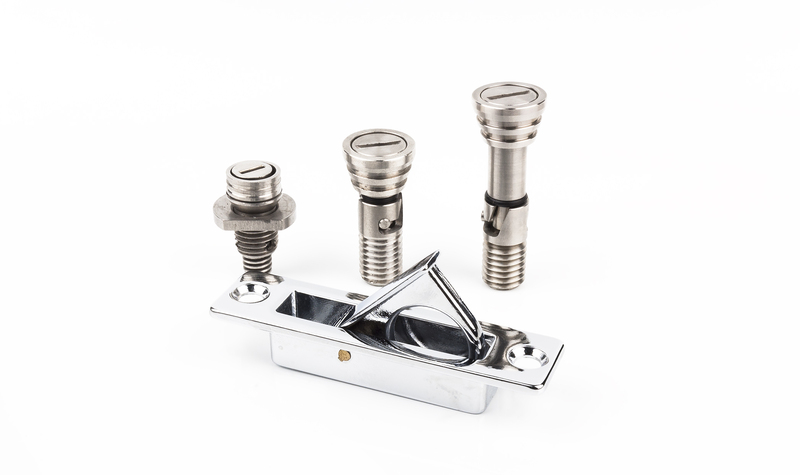 This kit comes with four Floor Anchors, a custom countersink “t” cutter, all drill bits and taps required. Need the tools to get your Floor Anchors installed? 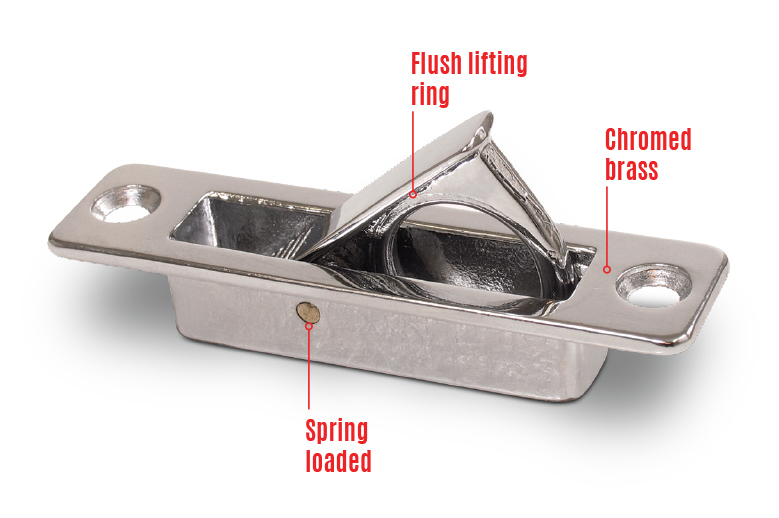 Pick up the Floor Anchor Installation Kit. 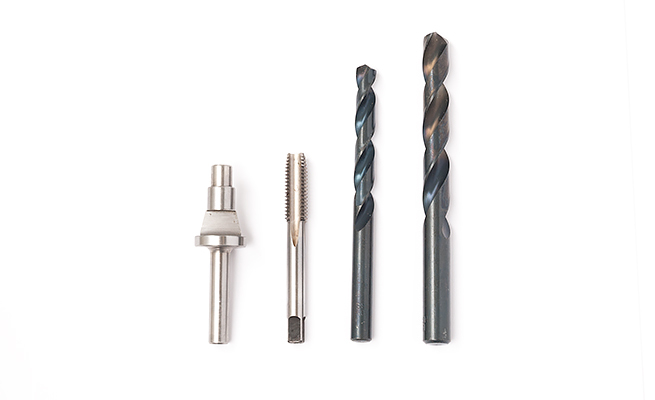 This kit includes a custom countersink “t” cutter, all drill bits and taps required. Find the nearest Floor Anchor dealer near you by using the map below! Need to know more information? Feel free to download our Floor Anchor brochures, installation instructions and price lists. Can't find what you're looking for? Please contact us!